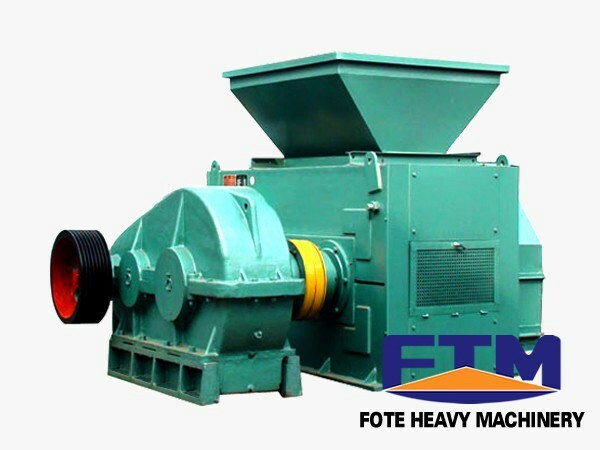 The coal briquette press machine produced by Fote is with advanced technology, reliable quality and strong pressure, and is suitable for large, medium and small enterprises to establish a production line with certain production scale. It is used in material-molding in industrial gas, various coal boiler, cold coke, coal fire, civil coal, civil metallurgy, refractory, medicine. In order to ensure normal production and life span of the machine, it is necessary to use , care and maintain the machine properly. Before installing the coal briquette press machine, make the pipeline lying strictly in accordance with the electrical specifications---make the strong and weak electrical signal line lying separately to avoid mutual interference. If it is installed in the open air environment, independent external lightning- prevention measures should be taken. Coal briquette press machine should be kept well grounded to prevent the influence of factors like electrostatic accumulation. When you install the machine, make sure that power lines, communication lines and video cable are connected properly according to the installation instructions to confirm communication and the corresponding pin definitions. Generally, the machine should be installed at the latter stage of construction to avoid the intrusion of a large number of dust to the coal briquette press machine, which will directly affect its efficiency and life span. 1. There are different sizes and shapes of different coals and balls, so the required pressure is different. Thus you may select the coal briquette press machine which with adjustable molding pressure according to your economic conditions. 2. The life span of the coal briquette press machine is a vital factor to be considered so you’d better choose the forging materials and alloy forged materials which have longer expectancy. 3. The ball should be dried after the produce to be sold and used. In terms of dryer equipment, vertical dryer and rotary dryer equipment which have high efficiency and easy operation are most welcomed.